Welcome to the Rittners School of Floral Design in Boston, Massachusetts. At Rittners Floral School, in Boston, we enjoy teaching a wide variety of styles of floral art, ranging from classical to contemporary and even cutting edge. Who said that flower arranging or floral designing always has to be serious? Flower Novelties are fun for the young and the young at heart. In this demonstration we see examples of flower ice cream or flower sorbet. No sugar. Fat free! Cholesterol free! Simply filled with fun! Sit back, and enjoy! Better yet, get out those dishes, spoons and flowers and make your own flower ice cream! We've been teaching these kinds of things for years here at Rittners! What fun! In other words, please enjoy this and all of our online presentations, but expect more detailed instruction in the teaching that we do in our various workshop courses. Registration Now Ongoing At Rittners Floral School for A Variety of Courses. 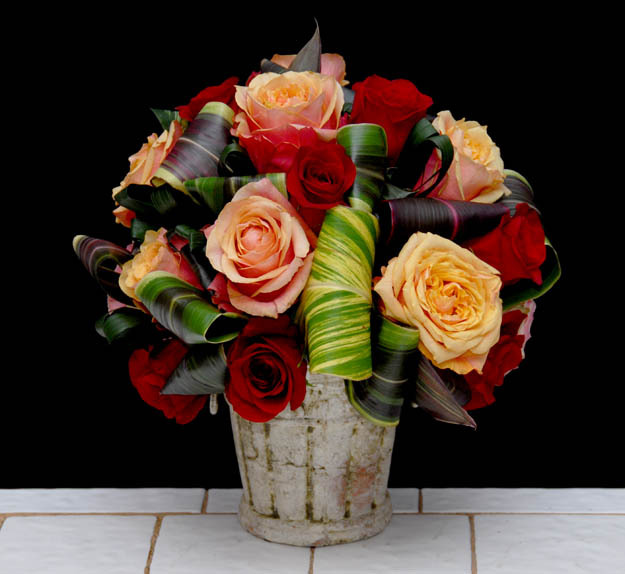 Click here to return to Video Floral Demonstrations from Rittners Floral School.